Tenant buyers are everywhere in today’s market. Research shows that well over 80% of house buyers and renters start online in their search. What if you could get in front of them where they’re already searching online (Google, Craigslist, Facebook, etc.) and attract the most qualified tenant buyers to look at your properties and join your “Early Alert” list? 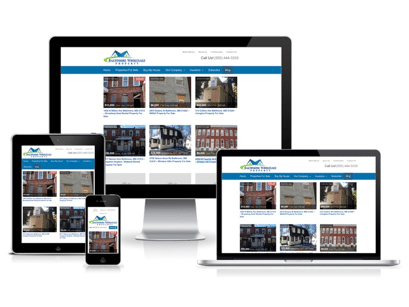 Among the highest performing websites on the InvestorCarrot platform, drive prospective tenant buyers to your website through SEO, PPC, Craigslist (we have trainings for all) or any other way, and let our high converting website design do the heavy lifting. Just launch your website, personalize it with your branding, tweak your content, and start marketing. Cyndy with “Cyndy Sells Houses” attracts hundreds of tenant buyer prospects per month through Craigslist and Facebook and she remarks how much time her InvestorCarrot “rent to own” website saves her with our “2 Step Screening” process. Your tenant buyers join to see available properties and get on your list, then we pass them to a qualification form that weeds out the tire kickers. Your tenant buyers are hitting the web to find their next property, and odds are they’re using their cell phone to browse your website. 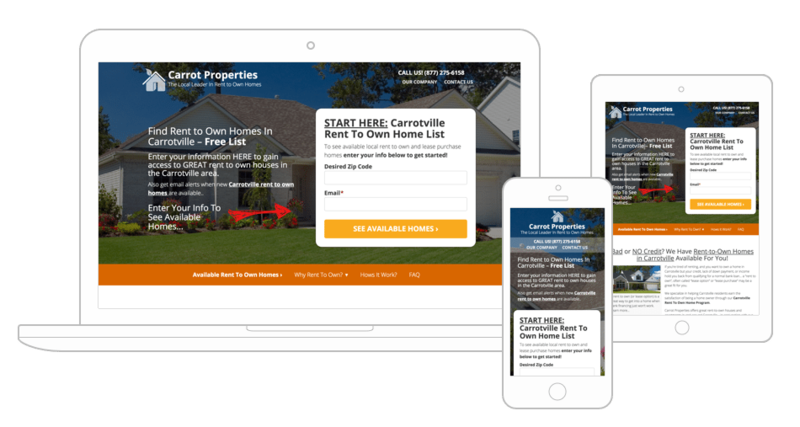 Every page, blog post, property listing, and landing page on your InvestorCarrot websites is 100% mobile optimized to look great and perform well on cell phones and tablets. In fact we’re continually innovating to keep you ahead of the mobile technology curve so you’ll never worry whether or not your website is “up with the times” technology wise. We’ve got you covered. Leverage our built in SEO tools, training, and support to help make it easier to rank high in Google for search phrases tenant buyers are typing in every day. Just follow our “traffic signal” within our Carrot SEO Tool to better optimize your content and leverage our training and team when you have SEO questions or need help. Want To Attract More Qualified Tenant Buyers Online?